Breaking news from the D23 Expo! A scale model of the upcoming Star Wars themed land coming to Disney Parks(unofficially dubbed "Star Wars Land") has been revealed at the convention. A handful of special guests were granted access to the Anaheim Convention Center earlier tonight to get a sneak peek at the enormous model. It brings to life the amazing concept art we previously saw of the area and realizes the 14-acre in miniature form. 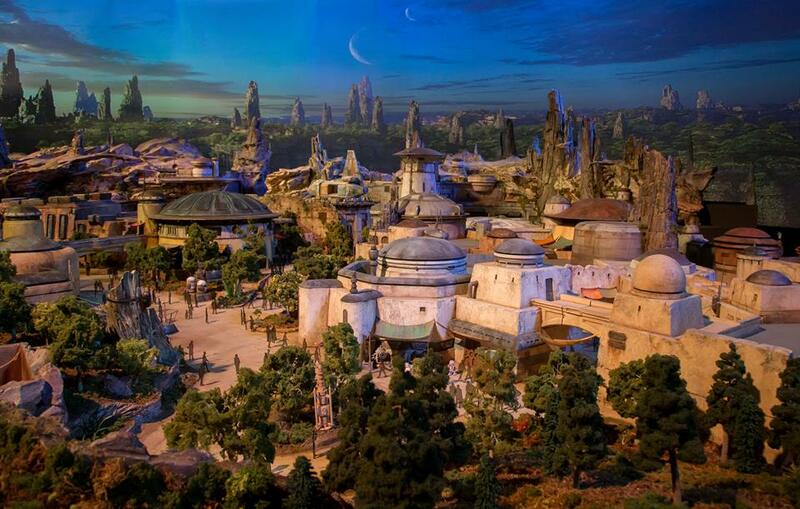 Hopefully we will learn even more about "Star Wars Land" later in the week when the D23 Expo officially kicks off! Keep it here on the SWU for exclusive coverage of all things Star Wars happening at D23!